Faces of Virtue Makeup Studio is your perfect stop for makeup and hair services. With over 12 years of experience, we offer an unparalleled and personalized experience to ensure your special day is flawless. Faces of Virtue Makeup Studio is the Makeup Sponsor to NFL New Orleans Saintsations and NBA New Orleans Pelicans Dance Team. 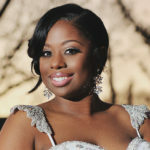 We are the top choice for makeup and hair services! 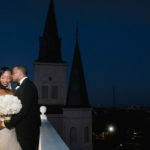 Recently inducted into the theKnot’s Hall of Fame, we were awarded Best of Weddings for the last several years. Our clients absolutely love us! We are conveniently located at 220 Julia Street in New Orleans, Louisiana, offering retail, makeup, and hair styling services for any occasion. Our expertise and attention to detail has attracted many industry professionals to use our services for bridal and corporate events. 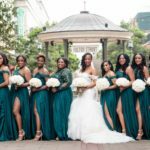 Our work has been featured in numerous publications such as Munaluchi, New Orleans Weddings, Black Bride, Reverie Gallery, the Today Show, and JET Magazines. We are available for international travel as well as frequently booked for destination weddings. Reserve an appointment with us today to play a small part in your big day!! !